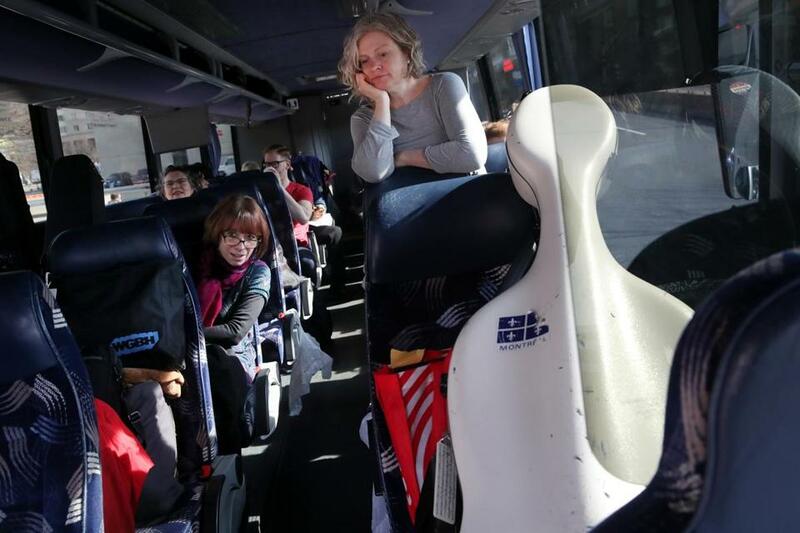 Colleen McGary-Smith waited as the bus prepared to head to New York on Saturday. How do you perform an opera in Boston, New York, and back in Boston again in under 48 hours — and do it well? It helps that Henry Purcell’s 17th-century classic, “Dido and Aeneas,” is as short as it is, rapidly telling the story of the exiled prince of Troy abandoning the queen of Carthage after she commits her heart — and a share of the kingdom’s reins — to him. To cap the just-under-an-hour performance, the queen dies from heartbreak. 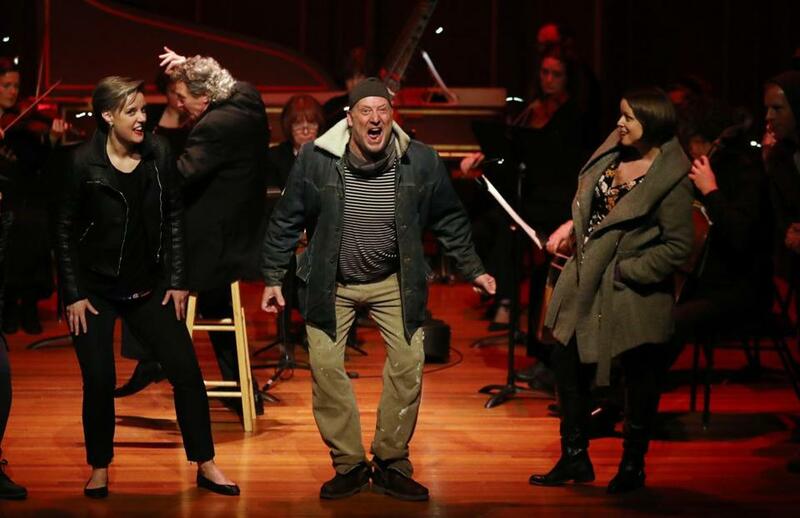 Ironic for an opera about leaving (and never returning), Handel and Haydn Society took its semi-staged production on a 400-mile journey in an intense three-performance weekend that ends Sunday. Twelve hours since wrapping up a Friday night performance at Jordan Hall — after loading up two tour buses with 13 baroque instruments, a trunk of music, four cases of water, two cases of beer, one case of wine, and suitcases — the 18-member choir, three guest soloists, 15 orchestra musicians, two directors, and three staffers waited for the bus’s air conditioning to be fixed. It was nine hours until show time Saturday night at Metropolitan Museum of Art’s Egyptian Temple of Dendur in New York City, where the show would also be live-streamed. 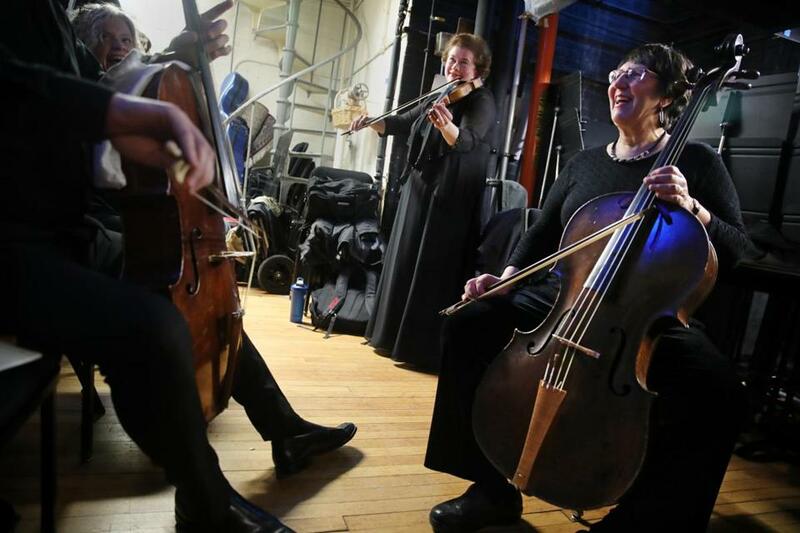 Cellist Sarah Freiberg (right) joined others warming up before their first show of the weekend at Jordan Hall on Friday. On Sunday, the group is back at New England Conservatory’s Jordan Hall for an afternoon show. “They are so up for it,” Christophers said. The mini tour, which left nearly on time, is based on an approach the group took for a 2017 concert presentation of Claudio Monteverdi’s “Vespers,” which saw the chorus visit Jordan Hall, the Met Museum, and Harvard’s Sanders Theatre in another whirlwind weekend. “It was a knackering day, there’s no doubt about it” said Christophers, betraying his Kentish origins Tuesday as he reflected on the 2017 run during a rehearsal break. Ira Pedlikin, who has served as the group’s artistic planner for almost a decade, said the organization’s standard concert model is Friday night and Sunday afternoon, leaving one day open. In all, it takes about 150 hours to plan for the trip, Pedlikin said — six months longer than usual. And the partial staging of this performance (movement, costumes, lighting, a handful of props, but no sets) brought new complications and surprises to an already tightly packed schedule. During Tuesday’s rehearsal at WGBH, two gaudy green and blue Costco beach chairs made their debut for the title characters’ picnic scene, as stage director Aidan Lang cracked a boyish smile. The titular queen of Carthage, though, was not having any of it. From left: Sarah Brailey, Matthew Brook, and Margot Rood performed a scene from the opera “Dido and Aeneas” at Jordan Hall on Friday. Hours before show time in Boston, Lang rushed over to Symphony Hall to burn a CD because Jordan Hall did not have anywhere for him to plug in a thumb drive with the thunder sound effect that spoils the picnic. The staging also requires more movement from the soloists and performers than a concert performance. For instance, Matthew Brook, playing both a drunken sailor and a conniving sorceress, made his entrance Friday by scuffling through the audience like a tough guy wandering in off the street. Lang, who directs those movements as well as partly improvising the lighting, said he was forced to adapt the staging for a very different space in New York. But the round trip was probably most intense for the performers themselves. “We have an unusually long day ahead of us,” said baritone David McFerrin in a text from the bus Saturday — not long before the bus hit bad traffic. For Reginald Mobeley, countertenor, that means 12 to 14 shots of espresso a day (though he said a normal day already requires 10). To lighten the load and comply with the museum’s requirements, some of the additional Purcell works on the program were cut in New York. “Dido and Aeneas,” among the earliest known English operas, is as capricious and mesmerizing as its namesake queen, with the shimmering baroque chamber orchestra turning on a dime. Just after Aeneas is led off-stage to romantic bliss, he is tricked into believing he must abandon Dido forever. “Maybe our bus leaving Boston is Aeneas and his crew leaving Carthage …” Lang ventured at rehearsal Tuesday, chuckling. But this time, just as quickly, they planned to return. 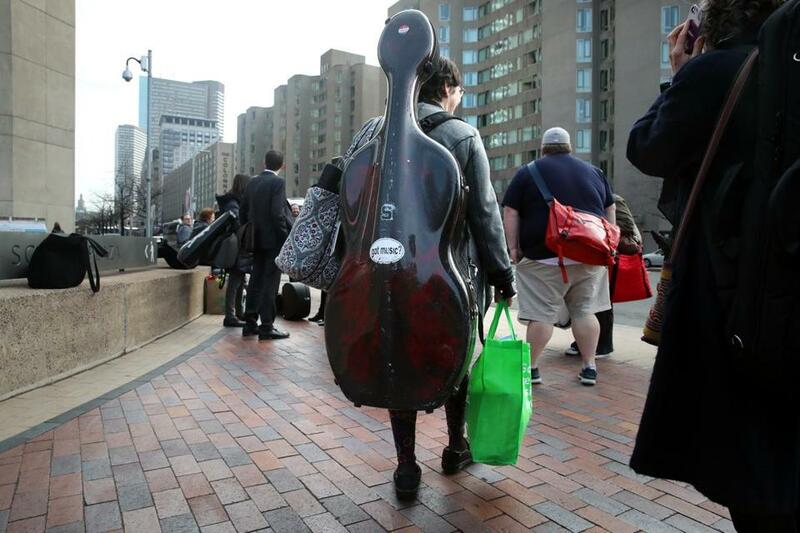 Sarah Freiberg carried her cello as she headed to board the bus to New York.